Vaporjoes.com – Vaping Deals and Steals – USA RESTOCK: HCIGAR VT200 EVOLV DNA200 BOX – $119.70 + FS! USA RESTOCK: HCIGAR VT200 EVOLV DNA200 BOX – $119.70 + FS! 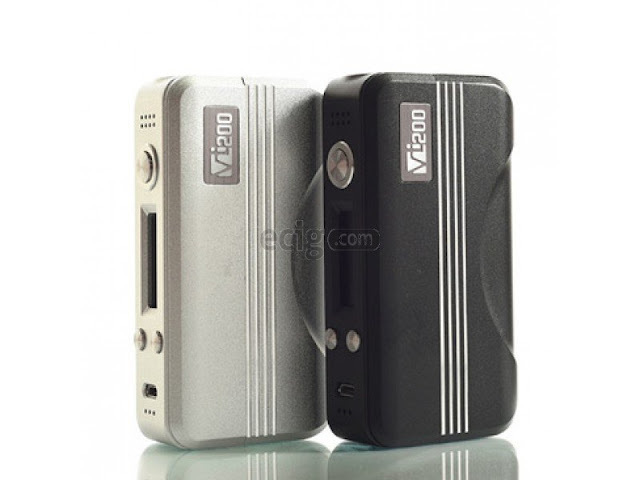 The VT200 by HCigar is the updated version of the highly known HCigar VT40 device. The VT200 features a sleek body, comfortable curves and lines etched into the device to boost its appeal. Of course, the VT200 has the good looks, but it also has the power and technology to back it. The VT200 is loaded with features, and it’s all made possible with the use of a genuine Evolv DNA 200 chipset. If you’ve been on the hunt for the ultimate mod, you won’t have to look any further. The DNA 200 chip allows this mod to soar all the way up to a whopping 200 watts of vaping power! Though it may be hard to fathom it, you won’t ever need another device, as the VT200 offers more than enough power for anything you can throw at it. Lock in the price before it goes back up! By vapor-Wednesday, December 9, 2015-Uncategorized-Comments Off on USA RESTOCK: HCIGAR VT200 EVOLV DNA200 BOX – $119.70 + FS!